The Best Shark Dive in the World! : Onward and Upward! We've just bid Isa Lei to some most excellent people. I really must make a plan to get out to Fiji!! Dive cert: easy, takes 4 days! How can u b a shark biologist and deprive yerself of the opportunity to witness behavior first hand! Tellya what: if u make it over here I’ll throw in the cert FOC – because I can! And she really is, and she really has - more than four years later! I must say that I'm stoked as ever since those ignominious events back then in SA *, Michelle aka the infamous and very regretfully retired Megalobomb and I have been regular pen pals - and it was really high time that we finally meet in person. Needless to say that it was very much worth the wait, and then some, as she is sharp and witty, and pretty, too, and generally a total pleasure to be with! 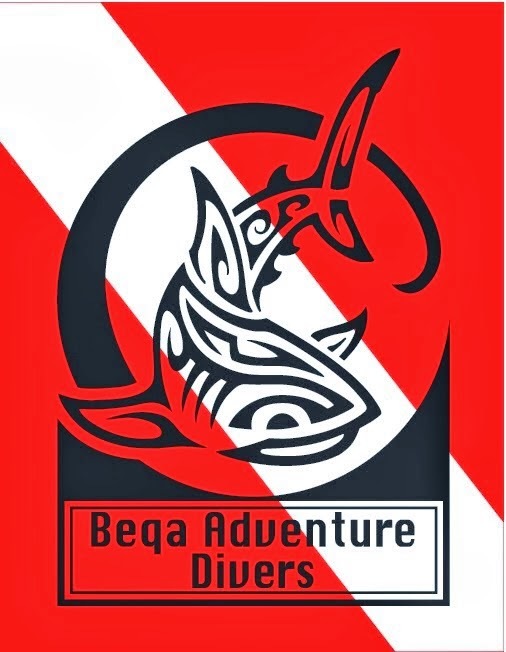 She is now a newly minted Shark diver, and I have no doubt that this will have consequences - good ones for the Sharks and hopefully, renewed bad ones for the bullshitters, charlatans and media whores! Anyway, can't wait to discover where her journey will lead her next - and yes, this is very much to be continued! And then there were Elena and Daniel. Looks like our wish is about to come true! 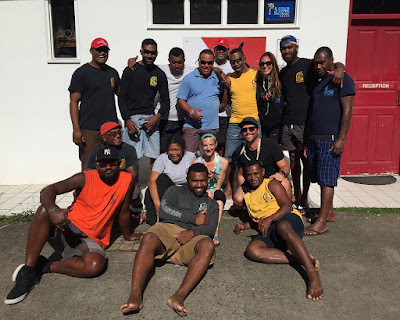 She has persevered, and after literally years of searching, it really looks like the intrepid duo may have found a location where to set up camp and create an integrated Shark diving, research and conservation business that is modeled after what we try to do here in Fiji. I'm obviously not at liberty of divulging any details quite yet - but it's gonna be brilliant so keep watching this space! Here's to fair winds and following seas, and to many more epic Shark dives! * Having checked (which I now bitterly regret), the bloody Facebook group is alive and kicking, and even worse than before: still with its complement of pompous bloviating Sesselfurzer and dipshits with an opinion and a keyboard, thankfully sans the lying SVS but with the addition of such luminaries like Collier, and a gaggle of fawning desperate housewives = Dunning Kruger meet Idiocracy meet the bloody Dolphinization! Sigh - and lest you did wonder, all those years of pathetic chest thumping and verbal diarrhea have led to precisely zero new scientific insights, and to a grand total of zero Sharks being saved! The pleasure was all mine. Thank you so much for your hospitality and many pizza trips. It was such an monumental trip to me for so many reasons, being a qualified shark diver is just the cherry on top! Vinaka vakalevu! See you in 2018!